I can say that JLRWG gained our partnership because of the great care and thoughtfulness with which Jamaal Johnson showed my wife and brother-in-law. They visited the dealership in hopes of simply gaining a better understanding about the F-Pace and Jamaal walked through answering their questions but also did so in a consultative way where he was obviously interested in gaining our business but also in ensuring that after we left the showroom that the entire experience was a positive one. Since I was unable to join during the initial visit, Jamaal emailed and texted me all the information that he shared with my wife to get me up to speed. Following that, we went back into the dealership 2 days after my wife's initial visit and a few hours later drove out with a new vehicle. Had the initial experience with my wife and brother-in-law not been so positive, we would have never gone back. He's a class-act when it comes to talking through different options, pro's and con's, and pairing that with how the vehicle is going to used. From my first conversation with Jamaal about the car I was considering; to walking out the door with new keys in hand 3 months later, this was honestly the best car buying experience I ever had! There must be 100’s of dealerships between where I live in NYC and Willow Grove, Pa.....but from my first interaction with Jamaal, I knew I was going to him when it was time to make my purchase. Jamaal was very knowledgeable and I immediately trusted him. Since I was not really certain about what I wanted in a car, his instincts and suggestions were exactly what I needed. The entire experience at this dealership more than exceeded my expectations. Anytime I called Jamaal with questions he was always patient and helped me become comfortable with my decision. Finally, the day we picked up the new car was extraordinary. Although I’m sure the dealership was very busy, we had all the attention we needed. Everything that could be done in advance was done, and the details at the end went smooth and not stressful at all. I attribute this to the attention to detail that Jamaal took throughout the process, to ensure the experience was prefect from beginning to end. We are very happy about our purchase. I would highly recommend Jamaal to anyone looking for a competent, honest, and knowledgeable salesperson! Thank you Jamaal and the entire Willow Grove dealership!! Had an emergency- no appointment- dropped off on Sunday. Got a call from Bob first thing Monday morning. Excellent communication, super quick service.Thanks! Jamaal is absolutely the best! I came in with loads of questions, very skeptical, and extremely nervous. Jamaal was not only informative, but EXTREMELY patient. He offered suggestions and explained everything in plain language, which made everything easy to understand. I have to say, with Jamaal's assistance this was the best dealership experience I have ever encountered. 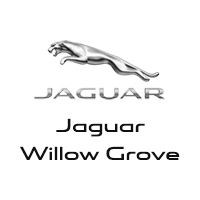 If you are at Willow Grove Jaguar, ask for Jamaal. You will not be disappointed!